clear,and also could be made with white,black,yellow,blue,green and other regular colors. But if you have you own pantone code.then tell us, we could also customize it. 1. Our Acrylic Lipstick Display is made of imported acrylic raw material which is with high transparency,fashionable and durable to use. 2. Our Acrylic Lipstick Display are widely used, such as in beauty stores, home use or as a perfect gift for clients who are in line of cosmetics or friends, etc. 3. OEM,ODM & OBM design offered, including product design, logo, package, ect. 4. 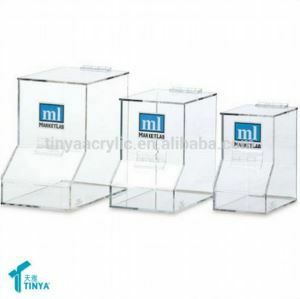 Our Acrylic Lipstick Display is with high quality based on the International Standardization Organization of quality, which make Walmart, Philip ,China Mobile and Media trust on.QUALITY IS OUR CULTURE. All above attract you already? If yes, please DO NOT HESITATE to contact us with any of the below method. We currently ship all orders via UPS, DHL, Fedex, Air Or Sea. Our forwarders could offer all shipping charges for your reference. Please email us with any questions regarding shipping procedures. 2. We encourage our customers to notify us of any issues you may have with your order .So you kind feedback is very important to us. We will always do whatever we can to make your order right. 3. We offer combined shipping, if you have any goods from other supplier here in China, then we could combine a container to save much cost for you. 4. Our Sales Department is next to the workshop. We could help you follow up all details during the produstion, and take photos for you until the goods is ready for shipment. And after that, we will help you track the goods.If any problems ,feel free to contact us any time. 1) A: Do you accept customized designs? B: Yes, we're a direct factory since 2005 with professional staffs and artwork. 2) A: Logo could be made? B: Of course. For simple logo, it could be silk printed. For full color logo, it could be sprayed with normal stickers, or sprayed directly on the acrylic. But the latter is much more expensive. 3) A: What's your warranty? B: We stand behind every item that we sell and will do everything possible to assure that you're satisfied. Should your merchandise be damaged through defect or otherwise, we'll be happy to facilitate replacement or repair for you. If any shipping damage, we can file a damaged parcel claim with the shipping courier on your behalf. 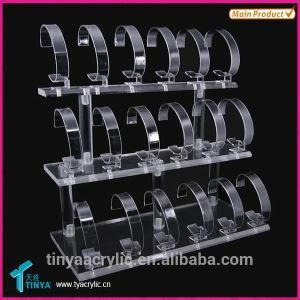 If you are interested in our Acrylic Lipstick Display , please contact us.